Recycling Works: Are Store Receipts Recyclable? Whether or not an item is recyclable is sometimes a cut and dry, black or white, yes or no answer. Water bottles and aluminum cans, yes; soiled napkins and items containing food or product residue, no. Unfortunately, gray areas exist considering the vastness the types of materials used in the production of…well, everything. Plastics, for example, have so many different densities that some are recyclable and some are not, by conventional means. Most people agree that all paper, however, is recyclable. Even store receipts? On this subject, there is some controversy and confusion. Avid recyclers would tend to quickly categorize them as “Paper” and toss them in with their recycling. Here are a couple basic guidelines. 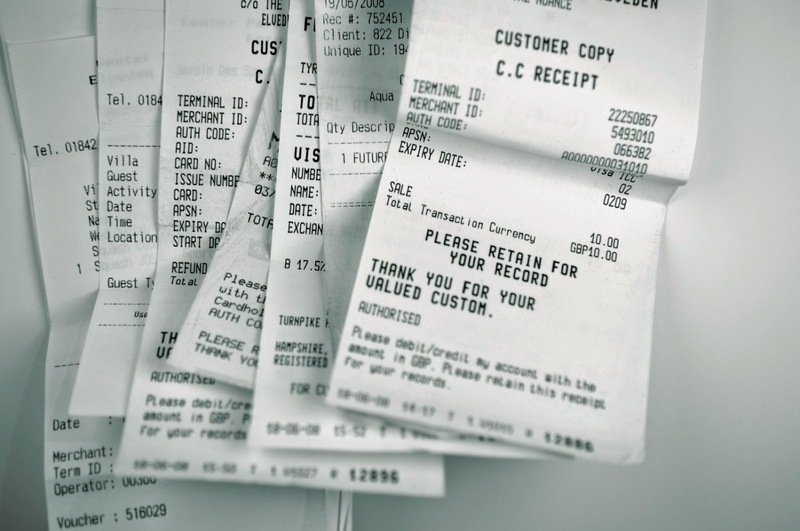 Hand-written receipts, adding machine-style receipts, or receipts on matte finish paper are definitely recyclable. The controversy lies with the shiny, heat sensitive paper receipts. Many stores use thermal paper instead of regular white paper and ink because thermal paper receipts actually require no ink. This makes printing receipts quicker, quieter and ultimately more affordable and cost-effective. Thermal receipts contain specific chemicals that produce the images on the receipt. This paper is not able to be recycled at the plant with other paper. Instead, it needs a special process of removing the chemicals before the remaining paper is recycled. Unfortunately, due to the cost involved for a more limited amount of paper, most recycling centers do not have this specialized equipment. Amongst all of the confusion, the best practice is to call your local recycling center to see just what can and cannot be recycled, given their current processes. Where Did the Recycling Symbol Come From?